Don’t miss out on the Early-Bird rate – extended to midnight on Friday 12th April! The online form (link below) is the quickest way of ensuring that you don’t miss out. 12.5 CVE/CPD credits from £125 for a recent graduate; from £180 for all other vets and nurses from £100. We are delighted to partner Idexx in delivering this conference at these prices. An online registration form ideal for individual registrations can be found HERE A PDF (print and post) registration form, suitable for easily registering more than one vet/nurse at a time can be found HERE. You can always photograph/scan it and e-mail it back to us if you have several vets/nurses to register and are running short on time! Scopes:If you have a scope that needs attention, bring it along with you. Exhibitors VESCO have agreed to offer registered delegates a scope clinic to help you assess/fix the problems. AVSPNI Spring Meeting Registrations now open! Book your place! 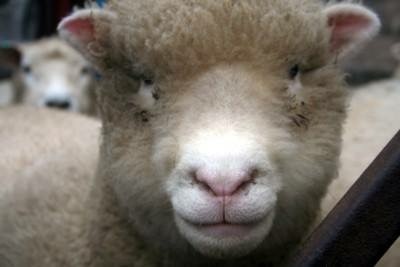 All vets are welcome to Karin Mueller’s three part presentation covering: On-farm fluid therapy (when and how); Dealing with urolithiasis in sheep and camelids and Top tips for your first camelid cases. If you would like to book your place for the spring meeting on the 3rd April 2019 at the Glenavon Hotel contact VetNI on info@vetni.co.uk. The moment you’ve all been waiting for….Spring Conference Brochure out NOW! The AVSPNI spring conference programme is now here! Our programme includes both vet and nurse lectures, some with practical elements. For the first time there are lectures specifically for the more experienced nurse. check out the great line up of speakers and book early to get the best price! We return to the La Mon Hotel where we will host the most epic of parties on the Friday! Don’t forget to bring your best ‘movie star’ outfit for what is always an amazing night! We are a progressive, expanding tier 3 royal college hospital, and we are currently looking for a maternity cover RVN or SVN. Based in Hillsborough, County Down with a branch in Lisburn, Northern Ireland you will enjoy working with our talented and friendly team. You will work an average 40 hour week, 8 hour week day shift, fixed term contract, starting in April for approximately 11 months. You will work a share of 1 in 4 weekends Saturday and Sunday, with on call, and shared Bank Holidays. You will enjoy working with a welcoming and supportive team. There is a lot of experience to draw from with our dedicated team of Vets, Nurses and support staff. You will enjoy working within a bright and spacious building with the most up-to-date equipment and technology for diagnosis and treatment. We have an in-house laboratory, X-ray, ultrasound and endoscopy equipment. Siobhan Menzies meeting on NO PAIN ALL GAIN filling up fast – book now to secure your place! Our last Small animal meeting of 2018 is going to be a great one! 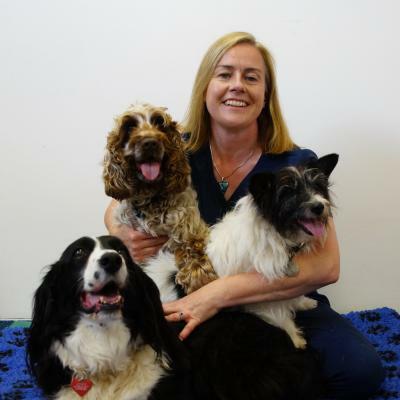 Come and hear our speaker Siobhan Menzies talking about ‘No Pain All Gain – Multimodal pain management – Utilising Analgesic Medications and Analgesic Techniques to maximise pain relief in pets’ on Thursday 6th December. Delicious supper provided! Book quick as limited places available now. For more information on Siobhan and the topic she will be talking about Click Here! Veterinary Surgeon required for Garvagh Veterinary Clinic, our clinic is a 5 vet independent mixed practice 20mins from the beautiful North Coast and 1 hour away from Belfast airports. Purpose built clinic equipped with Digital Xray/Processor, Ultrasound Scanners, Biochemistry & Haematology Machine, Therapeutic Laser and Dental Machine. Excellent remuneration package to include accommodation, car and CPD funded.